In any business, there are a number of questions companies must answer in order to get customers to buy a product or service. The same holds true for companies selling augmented reality headsets. How do you sell the devices? For Magic Leap, the answer may include physical retail stores. How do you nurture the ecosystem to create demand for these devices? Microsoft sees three trends for the industry that just so happen to align with its business plans. Of course, augmented reality can also be a means to an end. That's the case with the movie theater industry, where a mobile app from National Cinemedia may be the answer to winning back audiences for in-theater advertising. The once blurry and mysterious vision of Magic Leap's future is slowly coming into focus in the present, despite the company's obsessive attempts to keep any and all information under wraps until the next reveal is absolutely necessary. A new tidbit of information hints at an addition to the company's unfolding story that almost no one had accounted for: retail stores. In a job posting that surfaced this week, Magic Leap announces that it's looking for a director of store design. REALITY BITES: Industry sources are telling CNBC that (yikes!) Intel's Vaunt AR glasses may be nothing more than a publicity ploy. 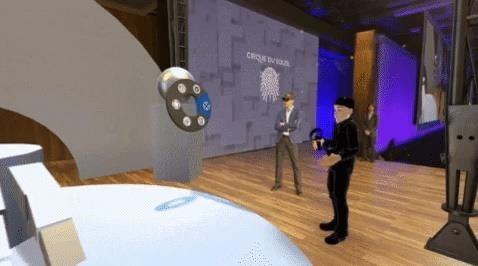 In a LinkedIn post published on Tuesday, Microsoft's leading advocate for the HoloLens made a prediction that the mixing of immersive technologies will define augmented reality in 2018. Alex Kipman, the Technical Fellow for new device categories for Microsoft's Windows and Devices Group (and NR50 member), believes the convergence of "mixed reality" and artificial intelligence, the melding of augmented and virtual reality, and the rise of immersive communications as developments represent the key advances in the technology this year. REALITY BITES: Venture capital firms have invested $2.7 billion over a two-year period into the tourism industry in China, where augmented reality attractions have increasingly become a big draw, according to Skift. Moviegoers who arrive at the theater early are no longer a captive audience for the ads, trivia, and miscellaneous content that precede the movie trailers than run before the feature presentation, as the ubiquity of the smartphone has become the preferred distraction for early birds at the theater. 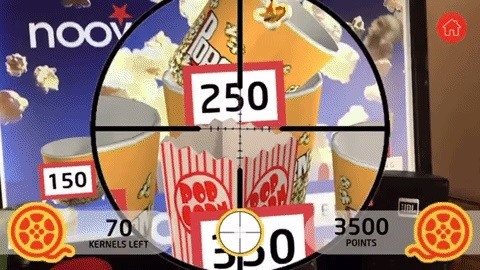 One of the companies that produces those pre-show reels, National CineMedia (NCM), wants to take back the pre-show experience by way of a mobile AR app called Noovie ARcade.